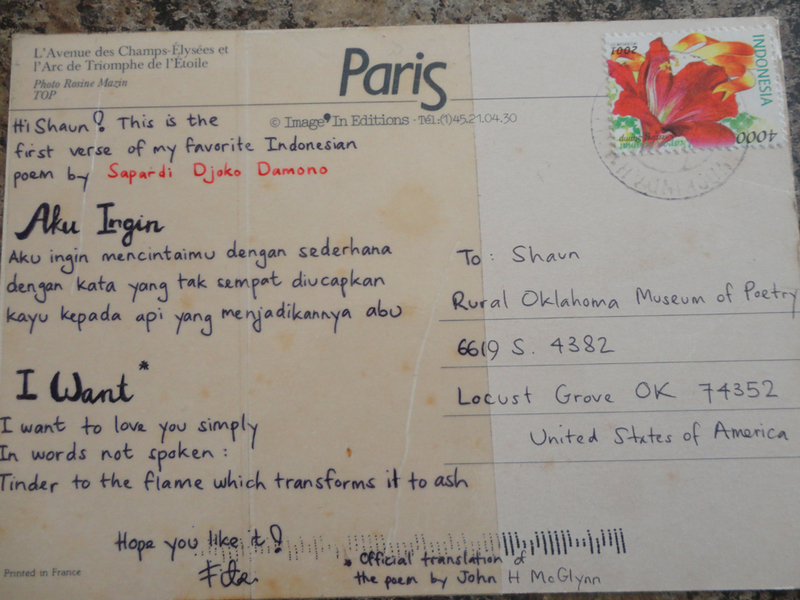 Fitri, who lives in Jakarta, sent this beautiful poem with its translation. 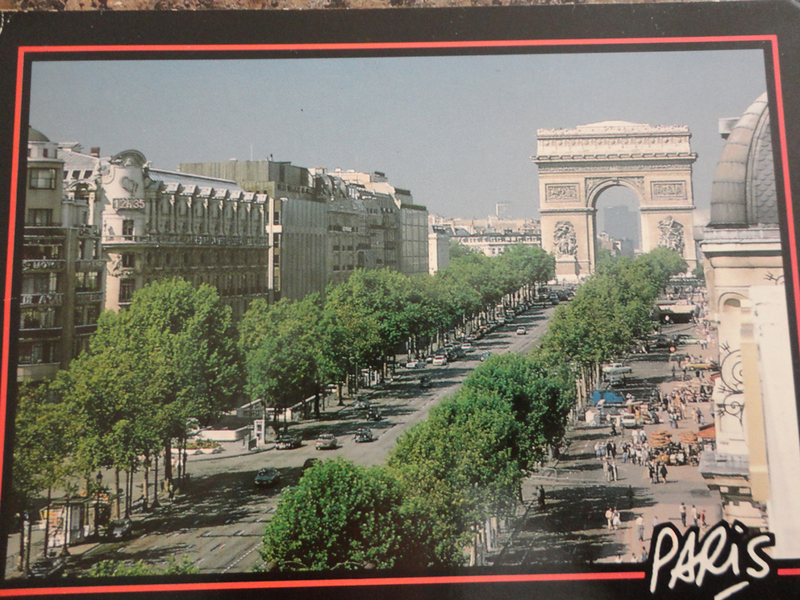 The Paris postcard made me remember my trip there last year, and the poem just makes me . . . love poetry even more. Thank you, Fitri! Tags: collecting poems, collecting postcards, poem, poem crosing, poetry, postcard exchange, postcards. Bookmark the permalink.